Leadership Development programs at Manhattan College prepare you to be a skilled leader in both personal and professional settings. While each program is uniquely themed and geared toward achieving specific goals, all leave a positive impact on participants. Leadership Development Program, a certificate program wherein students participate in sessions learning about different aspects of leadership. Club Leader Training takes place at the beginning of each semester for leaders of student clubs and organizations. Leadership Weekend is hosted place off-campus and is open to freshmen, sophomores and juniors interested in getting more involved in Student Life. 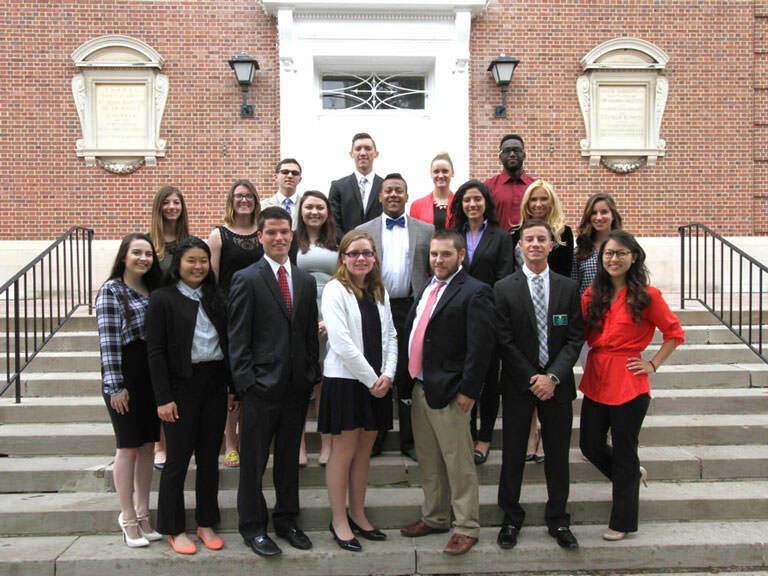 Inaugural Day marks the occasion when elected students rise to their new positions in Student Government. Diversity Summit, a day-long workshop sponsored by the Multicultural Center, is for students of all backgrounds looking to meet their peers and make positive changes on campus. There are Leadership Development opportunities open to all students, and some geared specifically toward certain groups. Learn more at the biannual activities and volunteer fair which happens at the start of each fall and spring semester, or contact studentengagement@manhattan.edu directly. Look for emails with information and application deadlines, as well as special events on campus throughout the year.